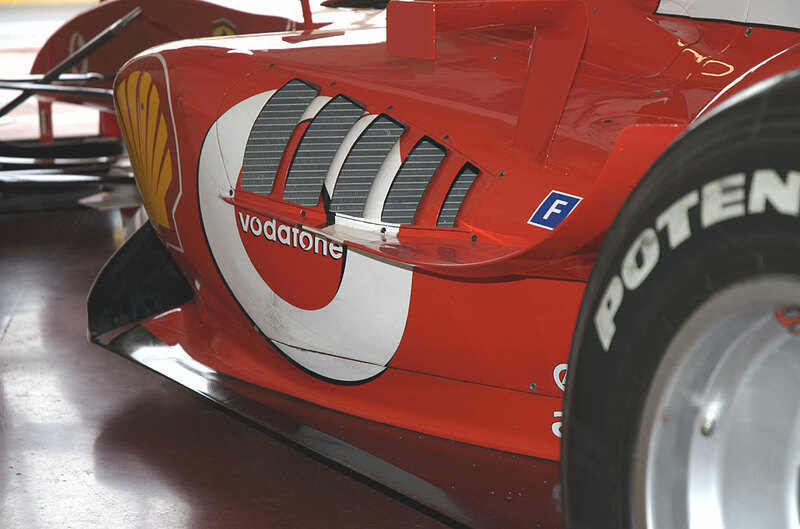 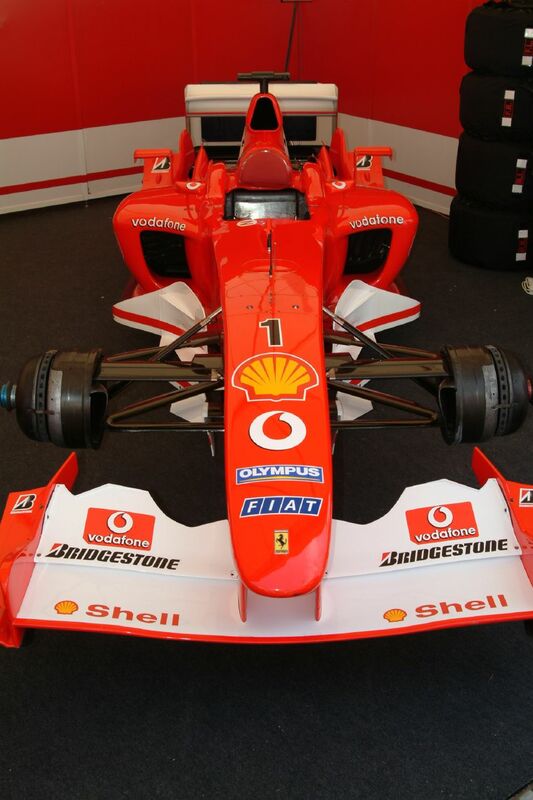 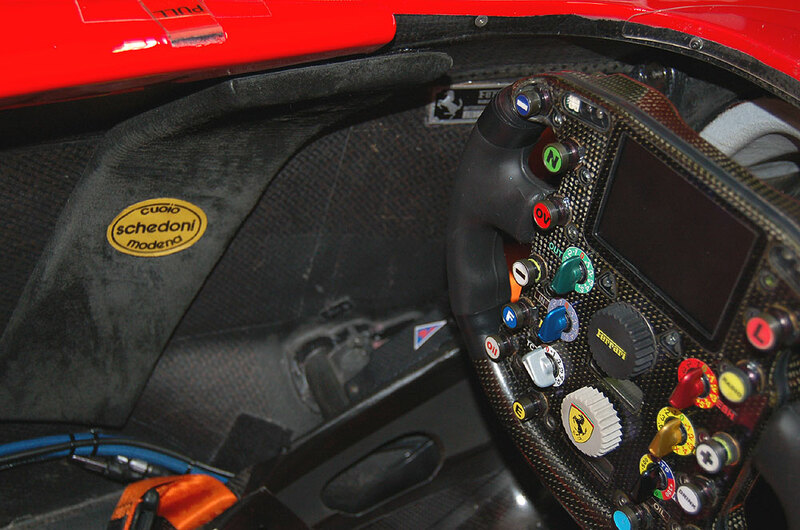 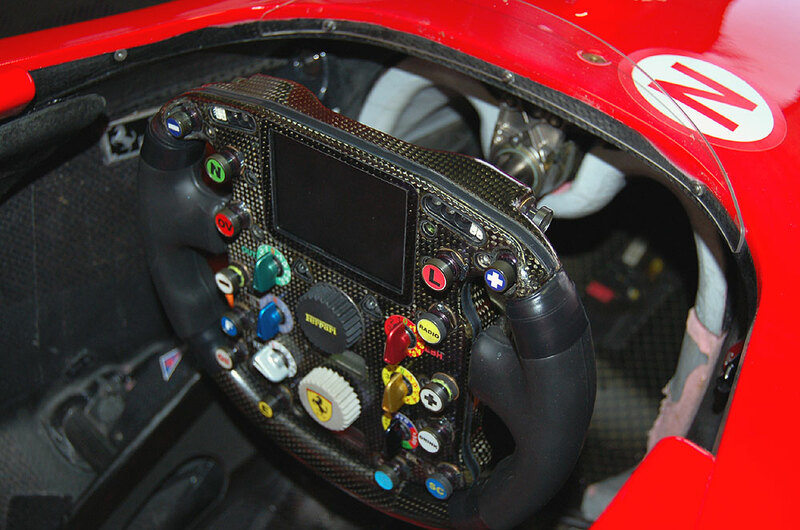 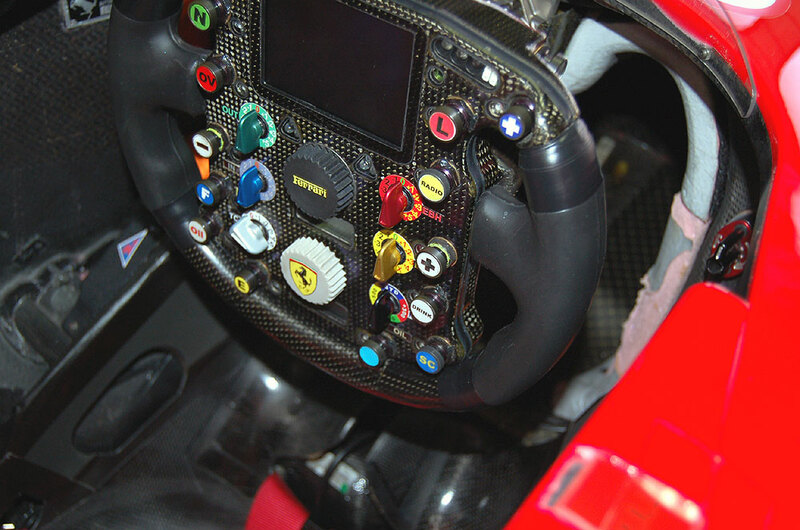 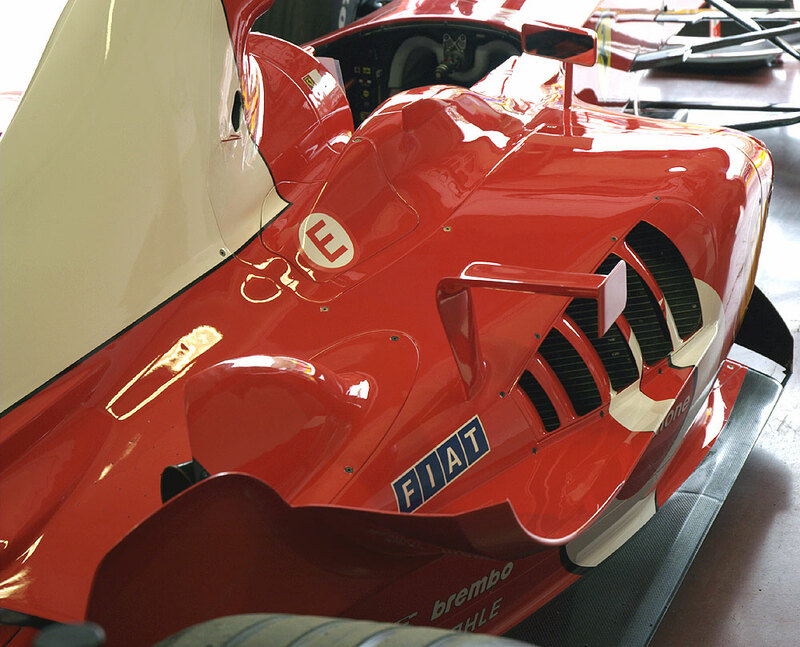 When Ferrari revealed the F2003 GA, it immediately appeared to be an innovative car. 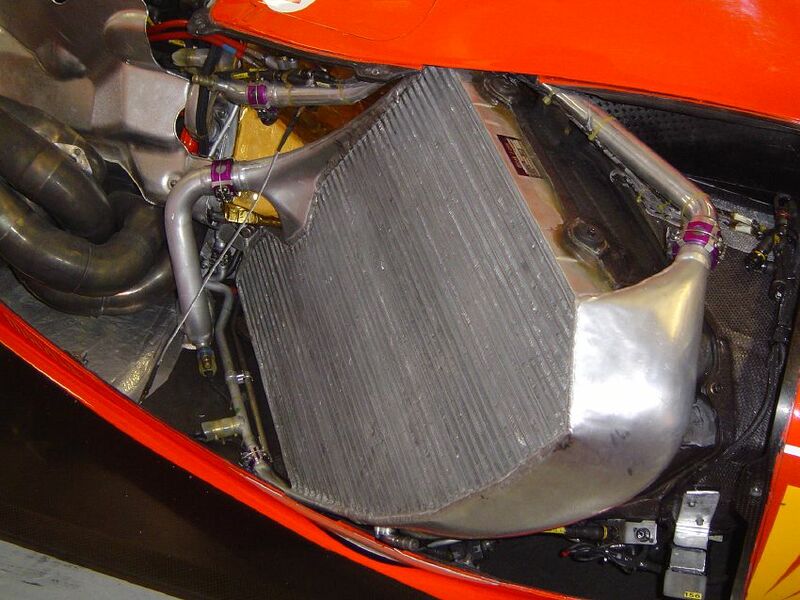 It didn't dominate the whole season as the F2002 did, the new qualifying regulations and especially the ban of re-fuelling were not known during the process of the design. 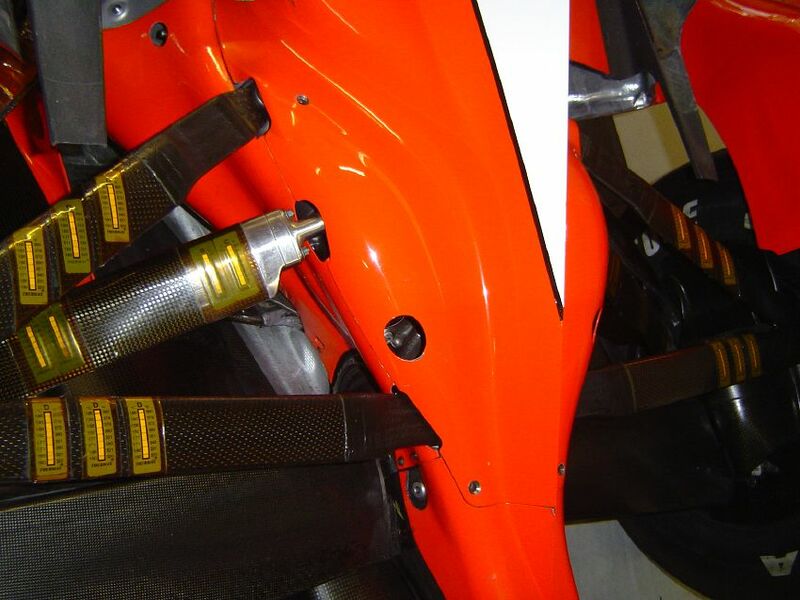 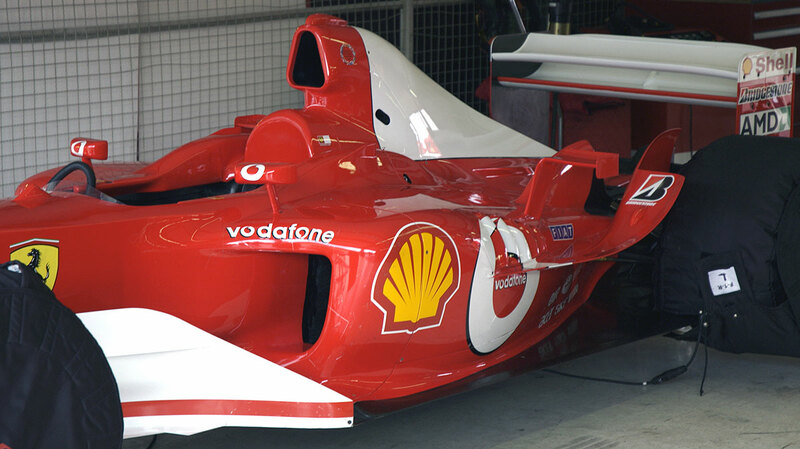 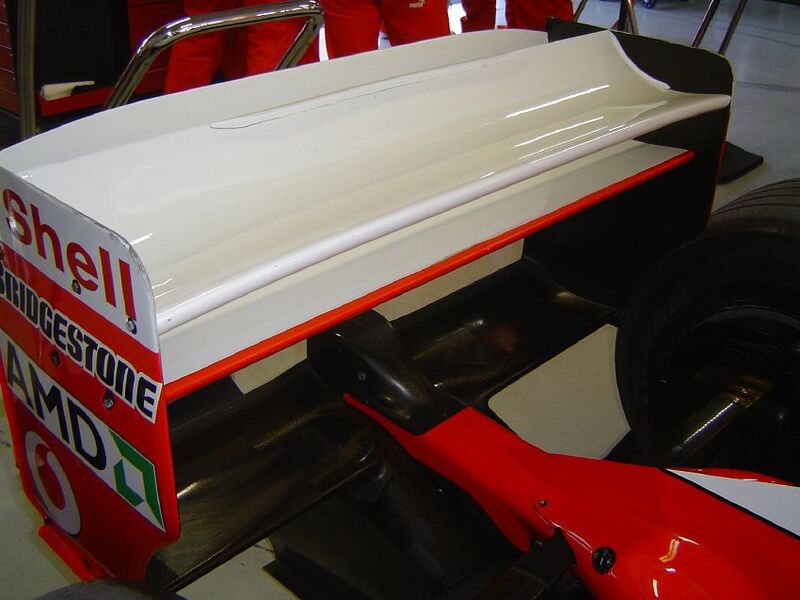 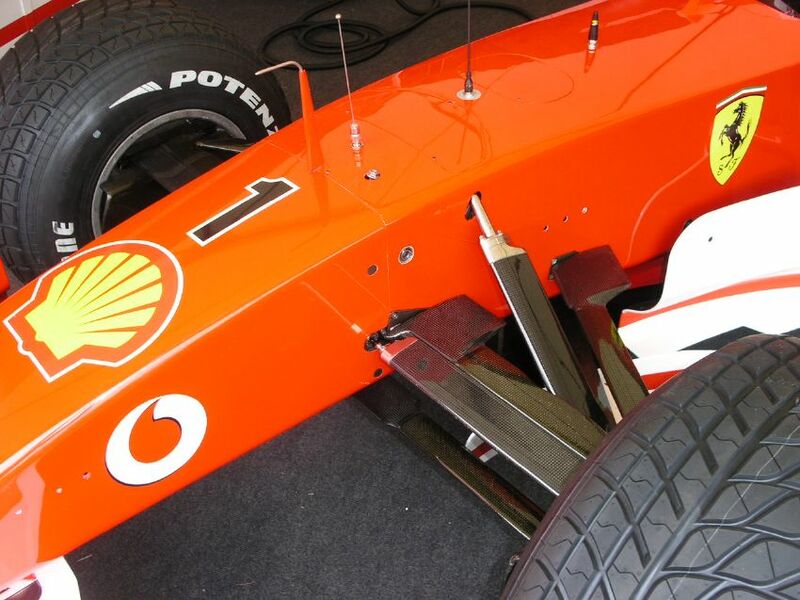 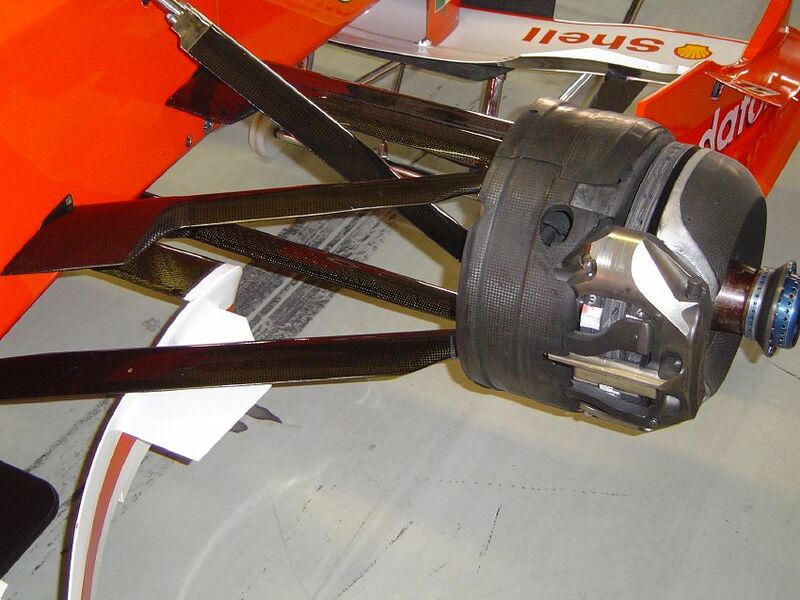 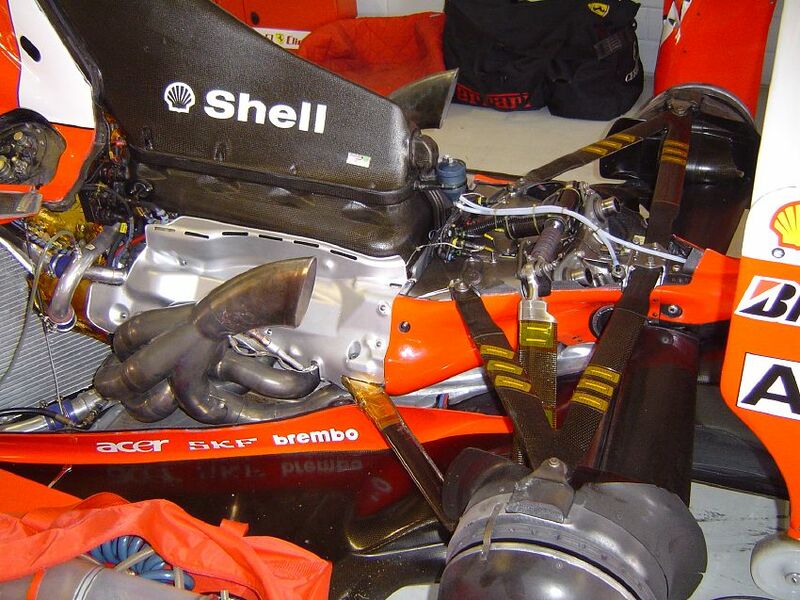 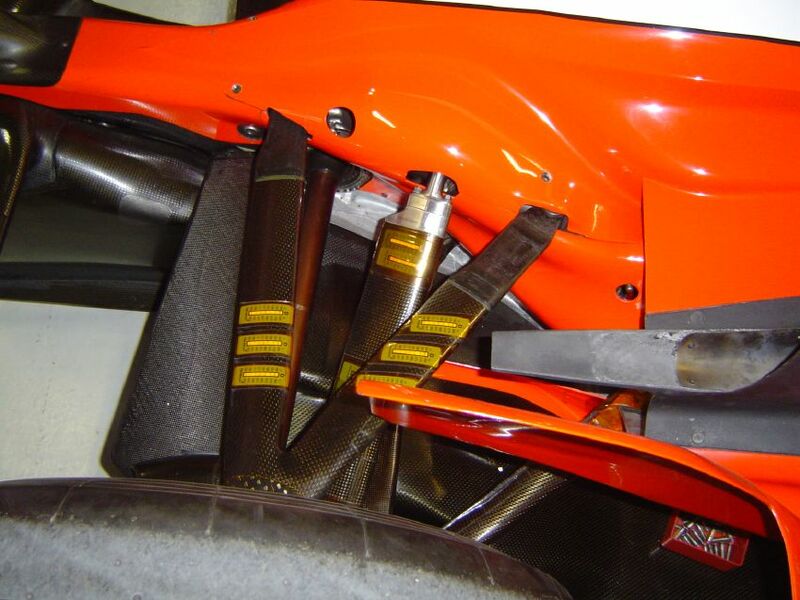 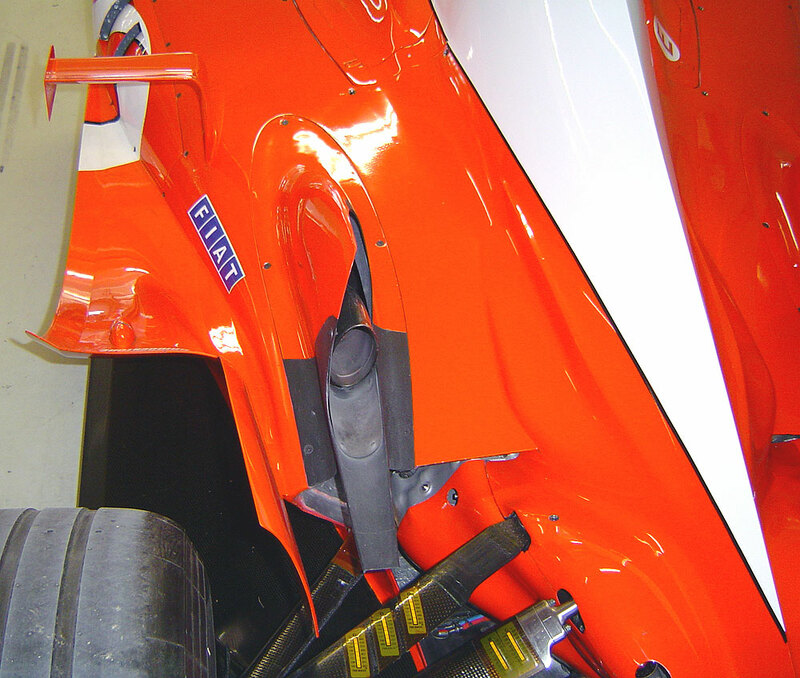 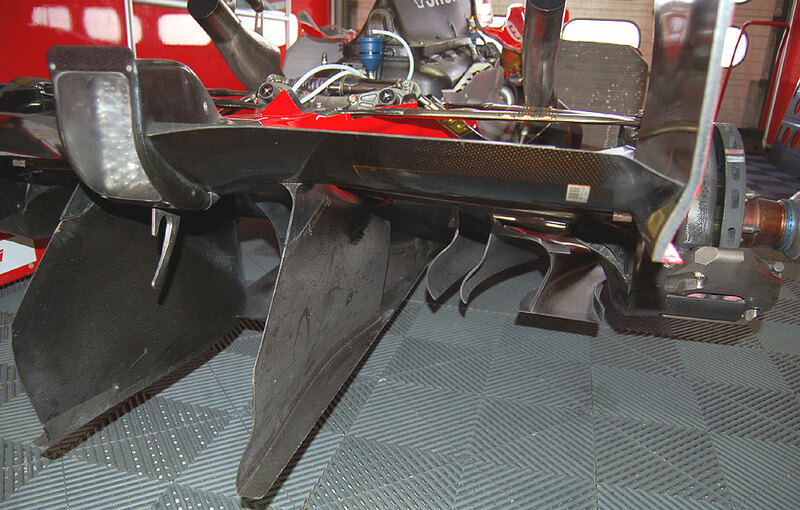 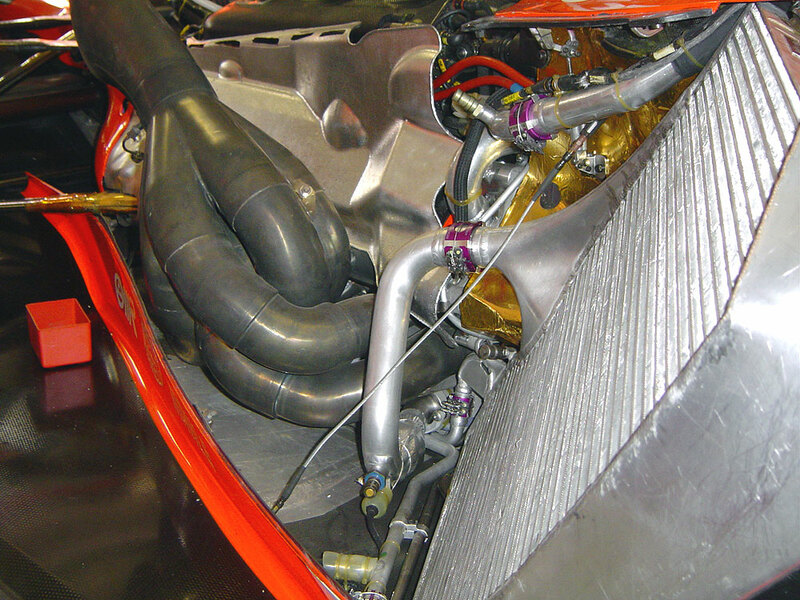 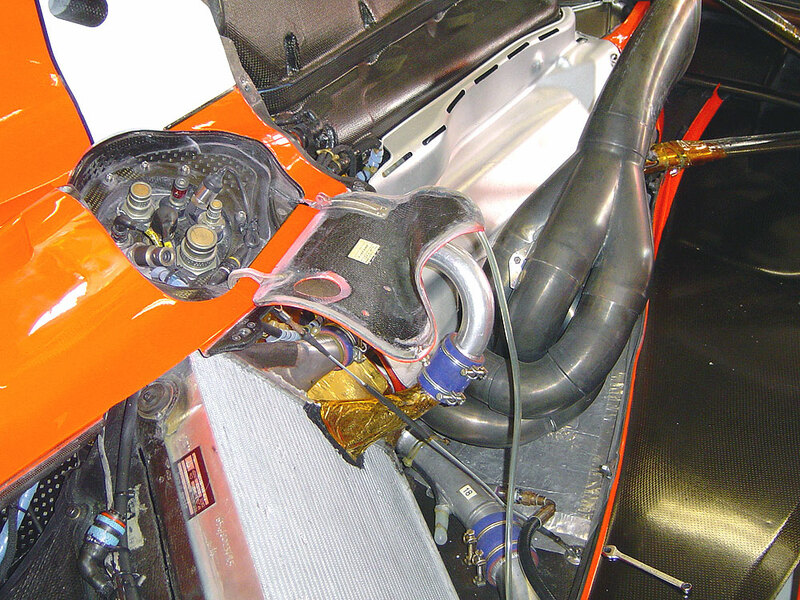 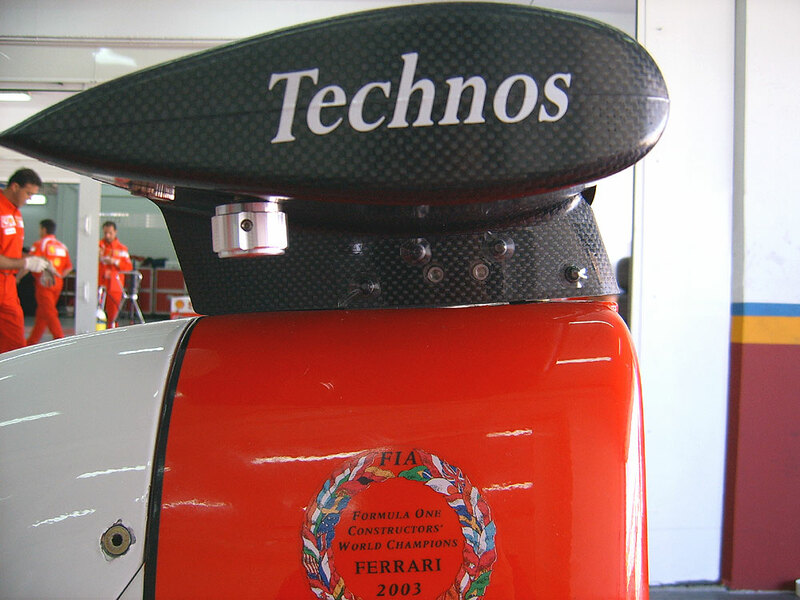 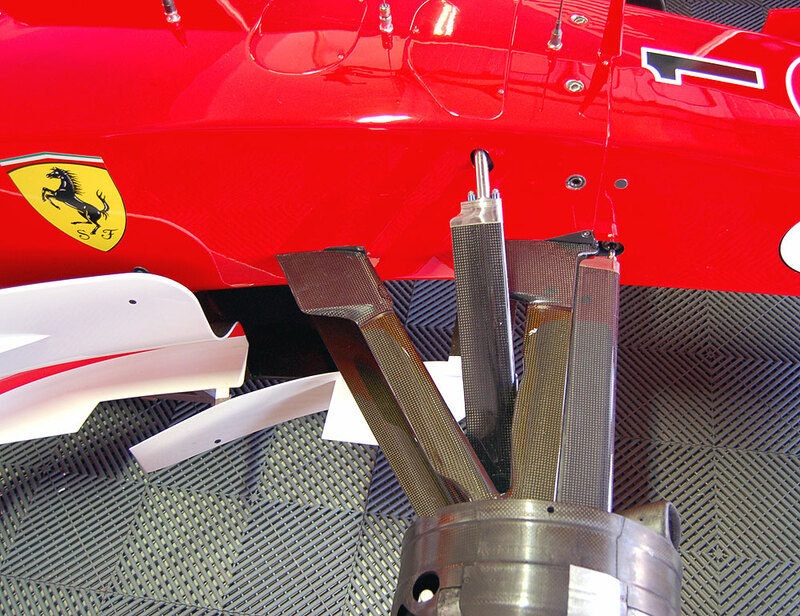 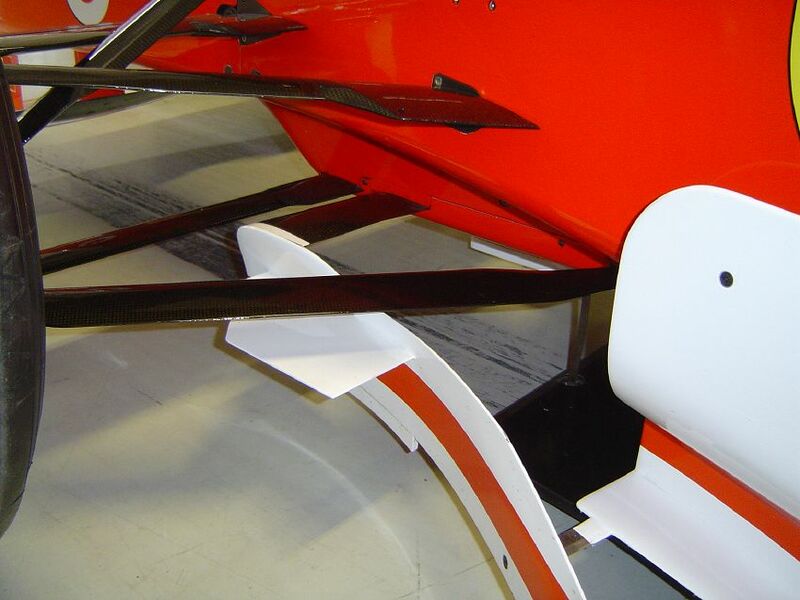 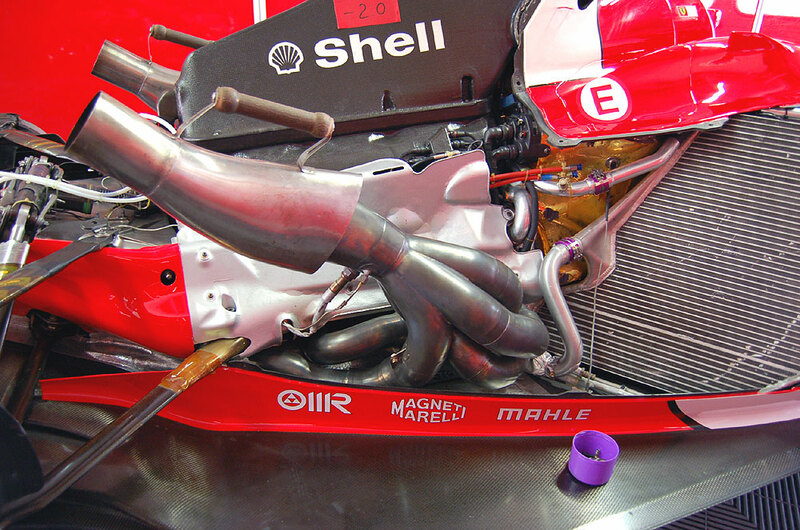 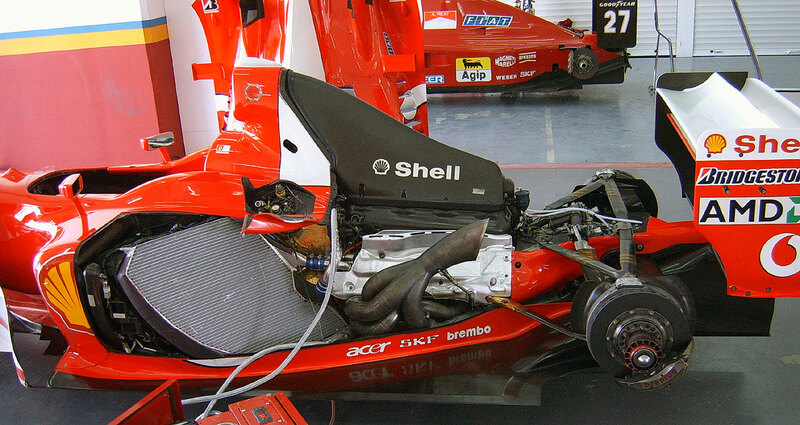 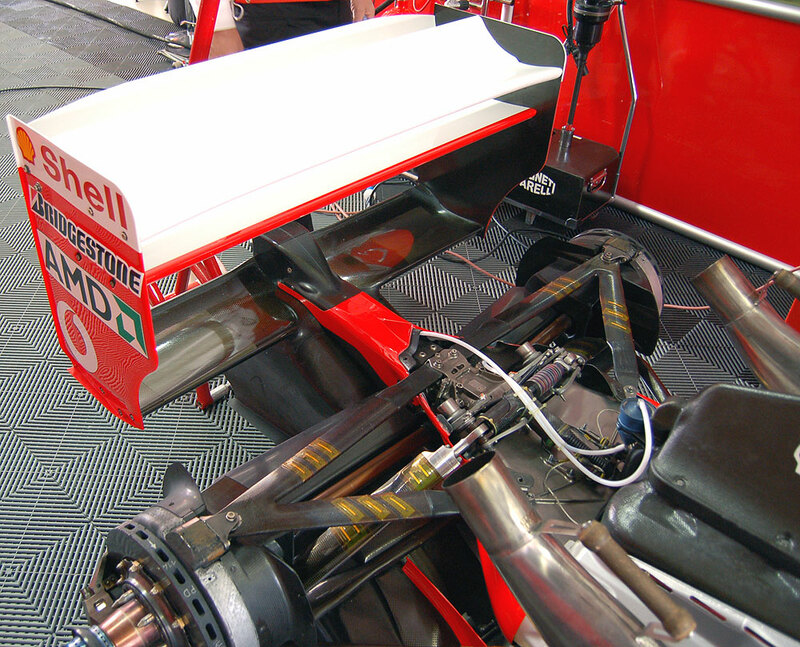 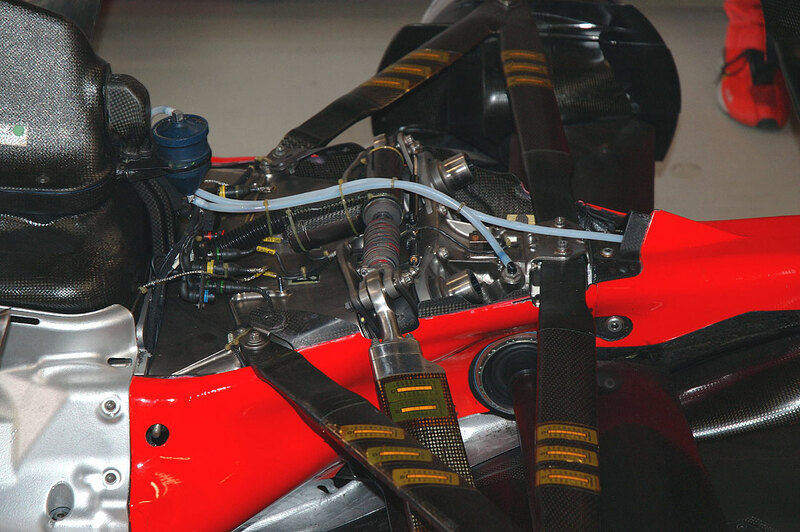 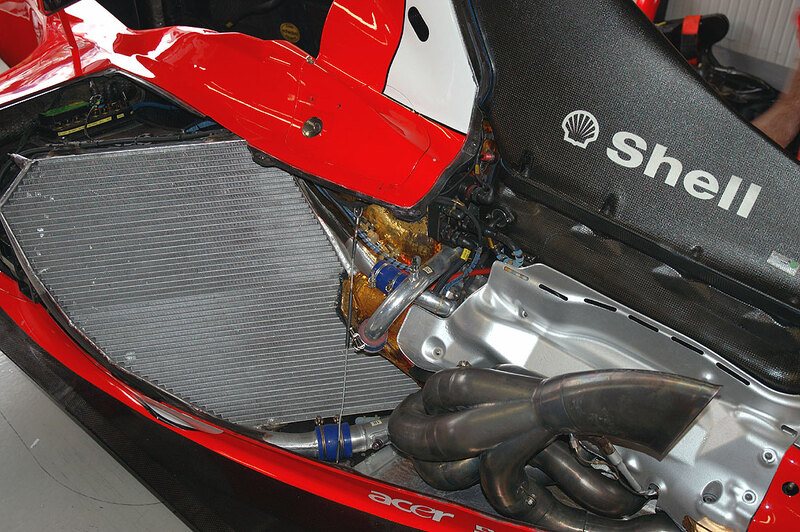 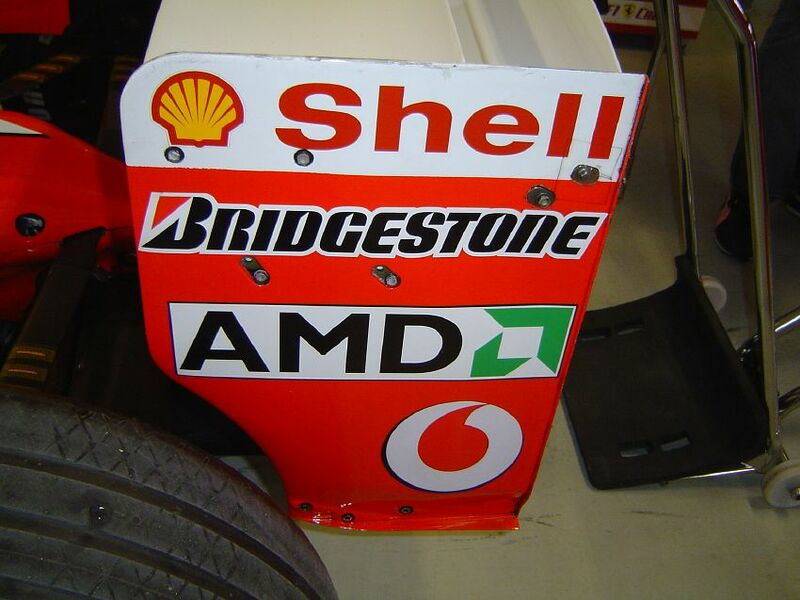 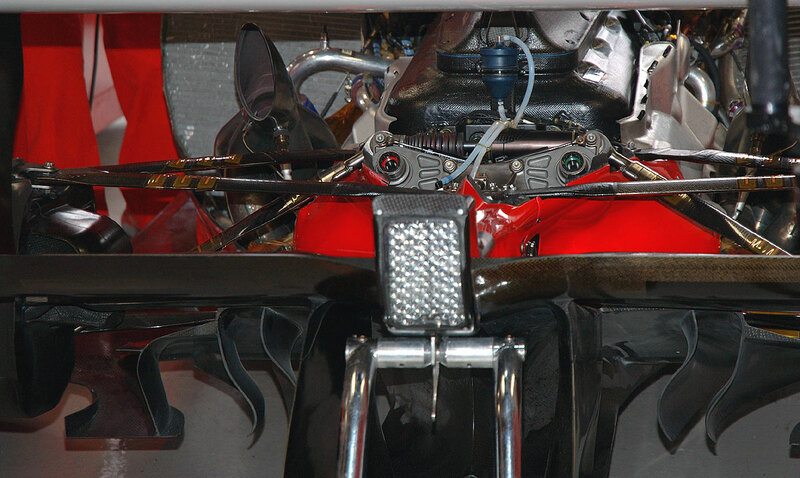 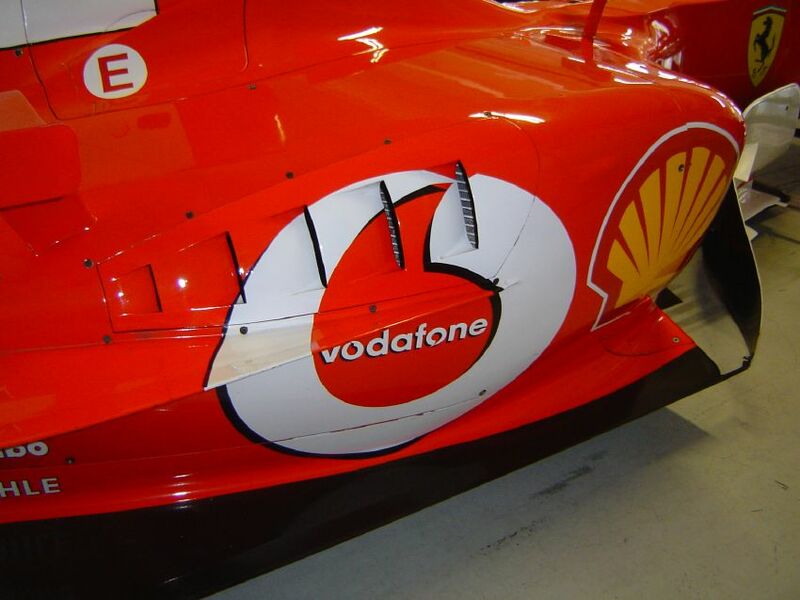 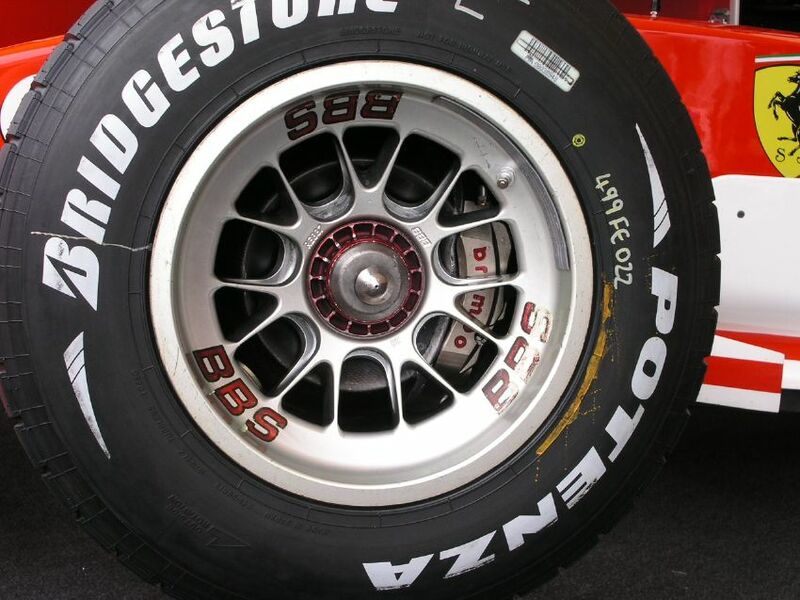 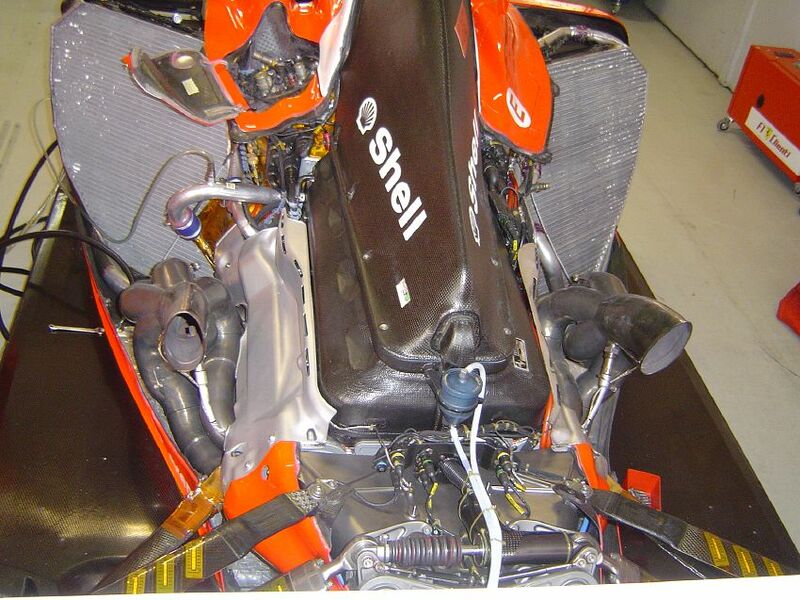 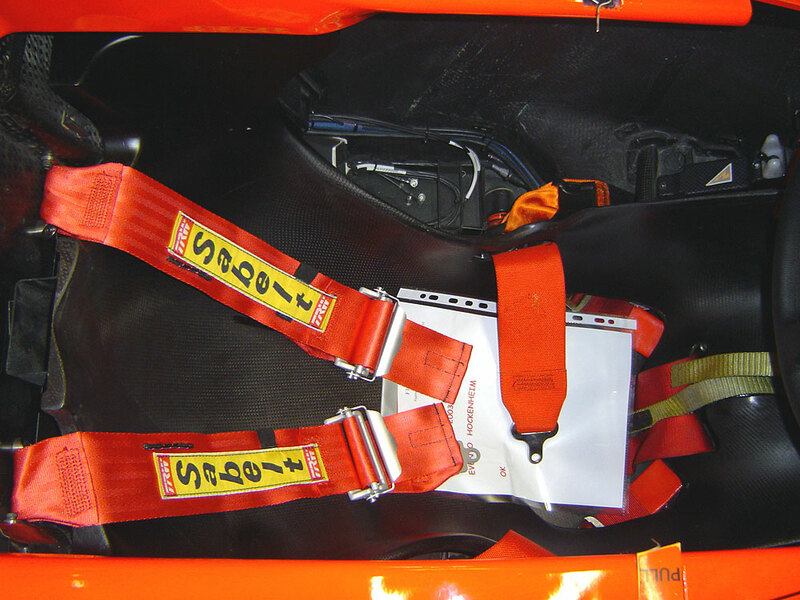 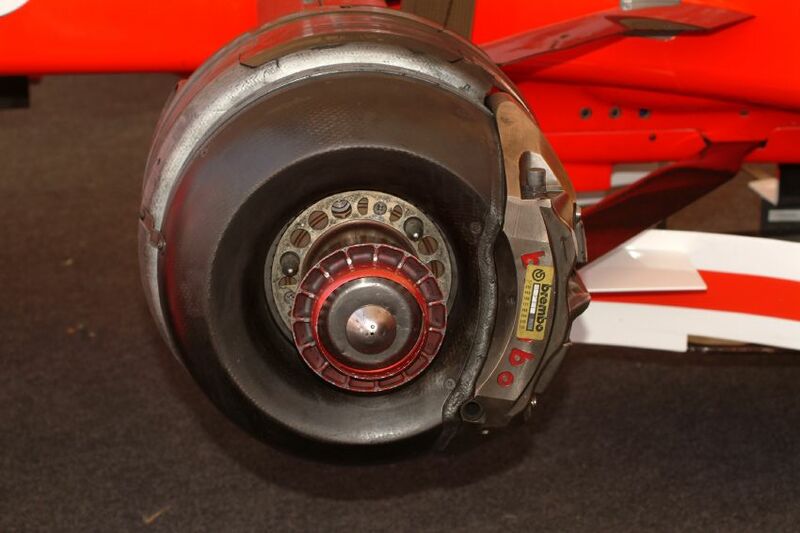 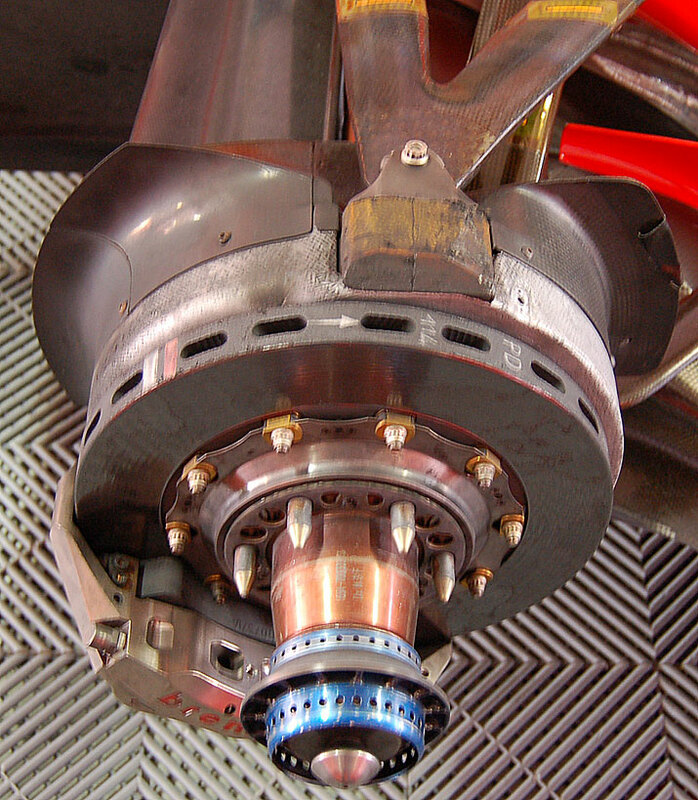 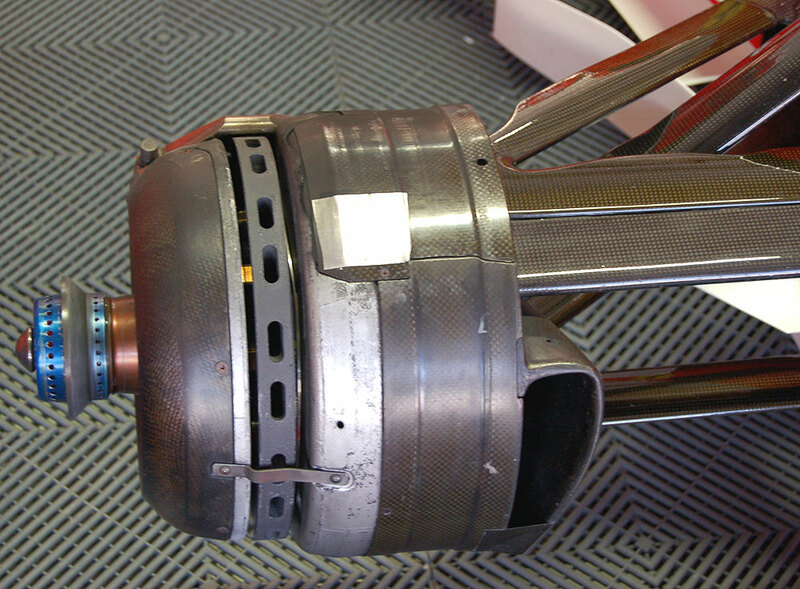 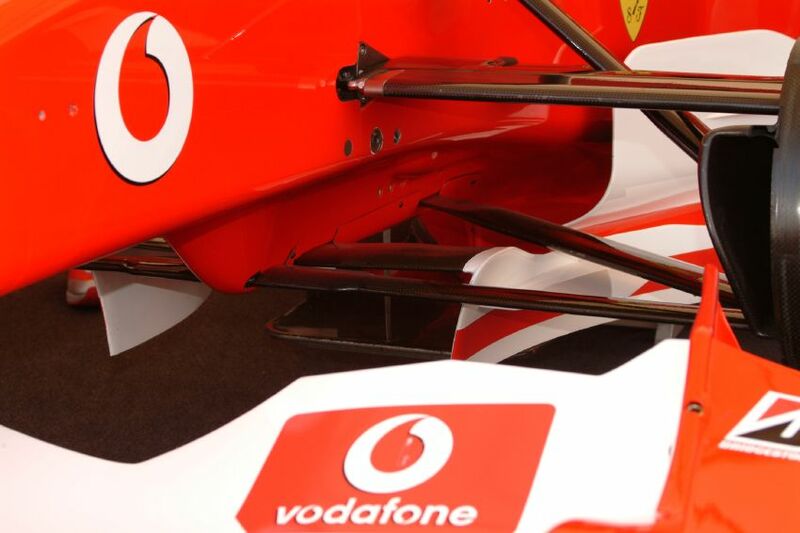 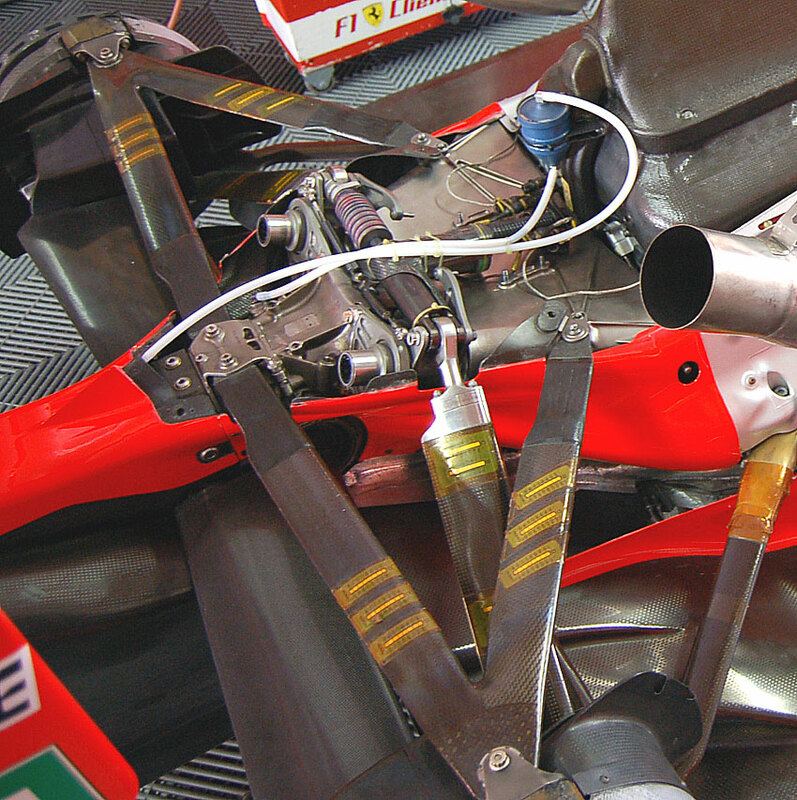 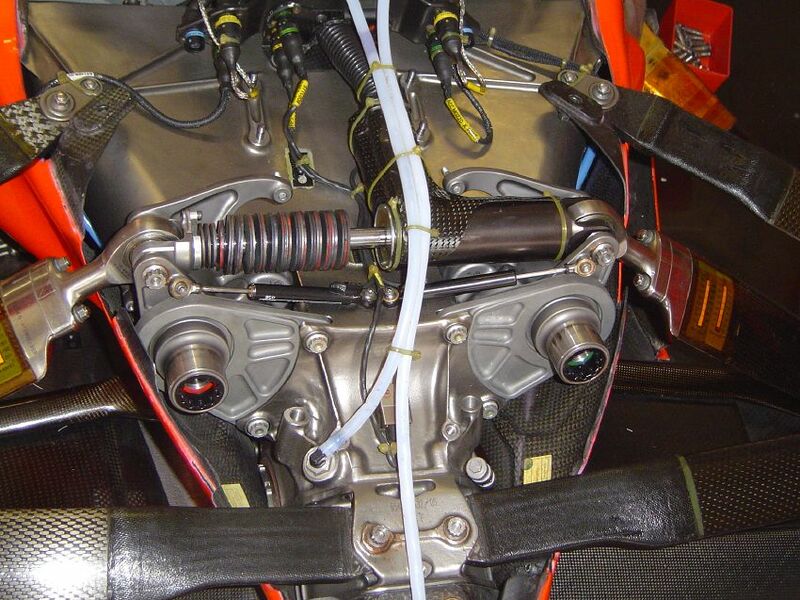 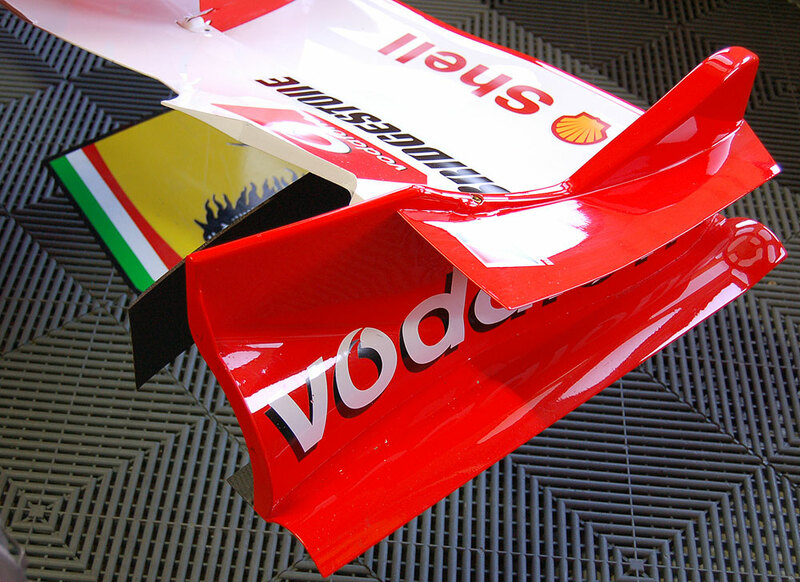 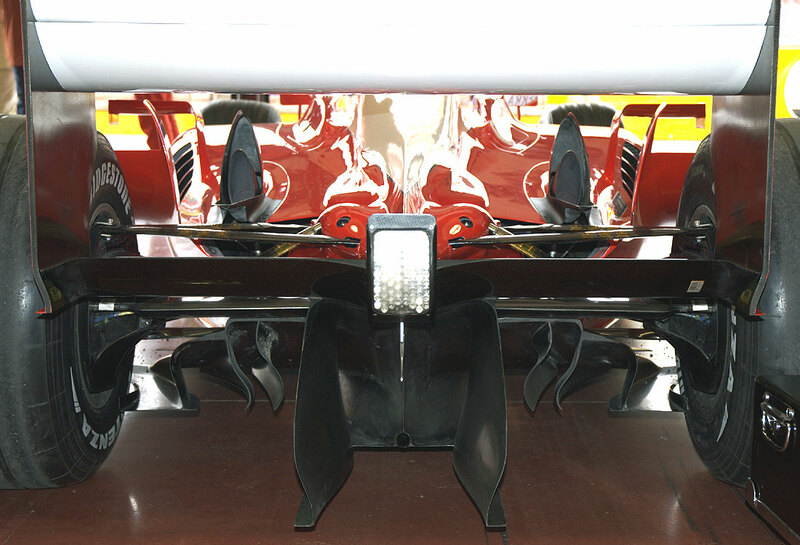 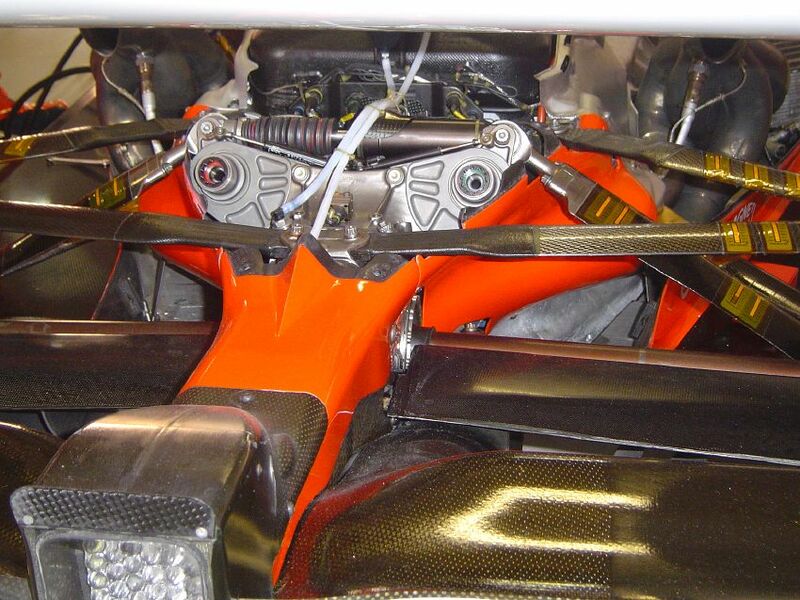 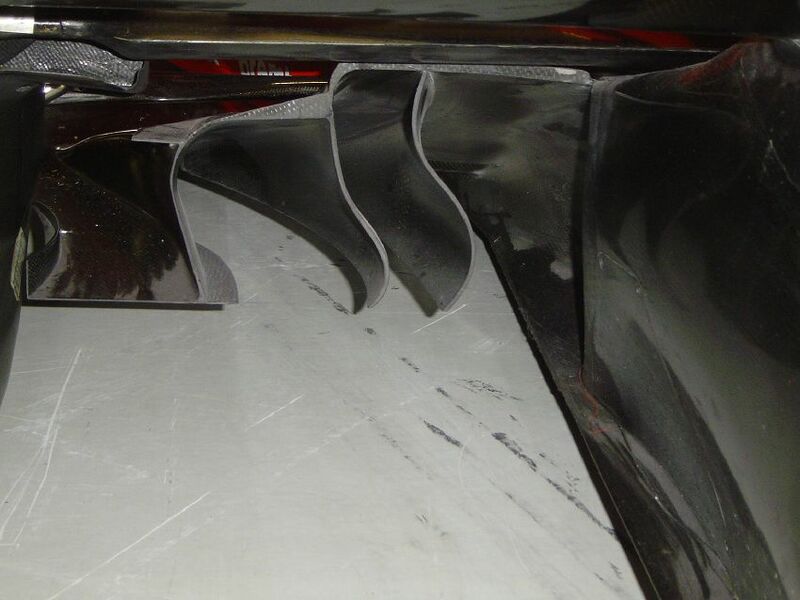 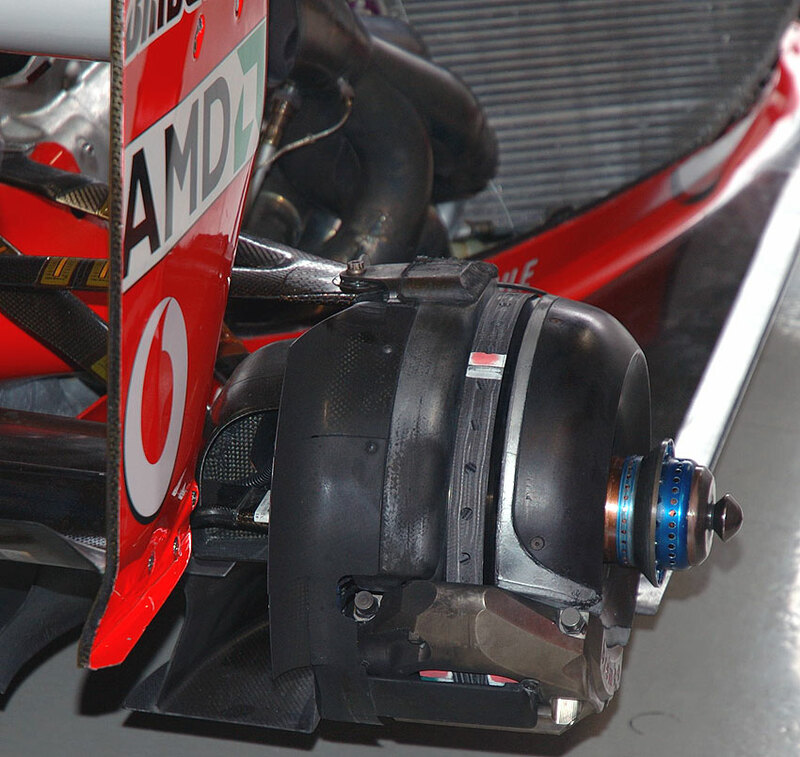 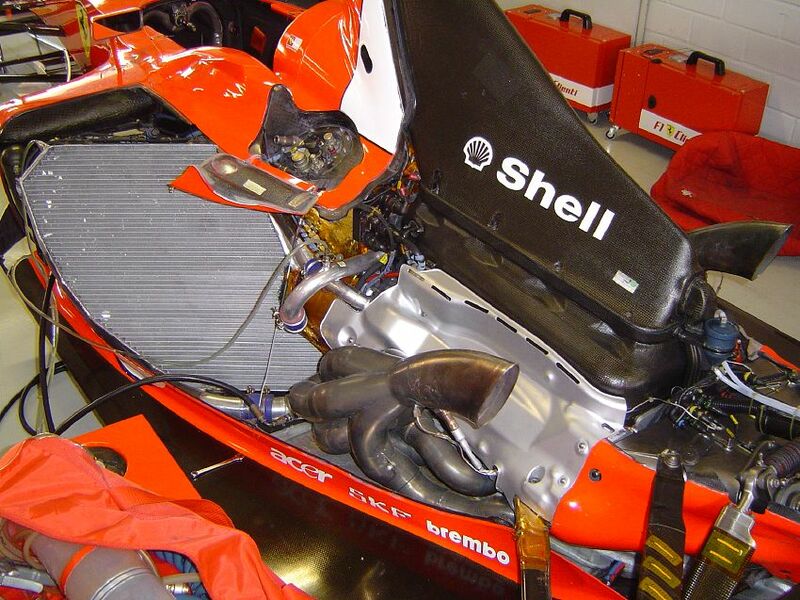 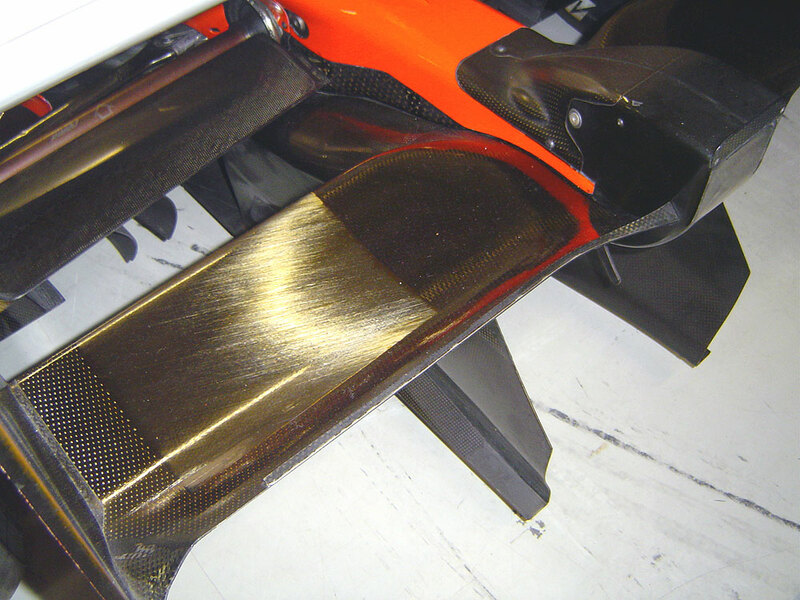 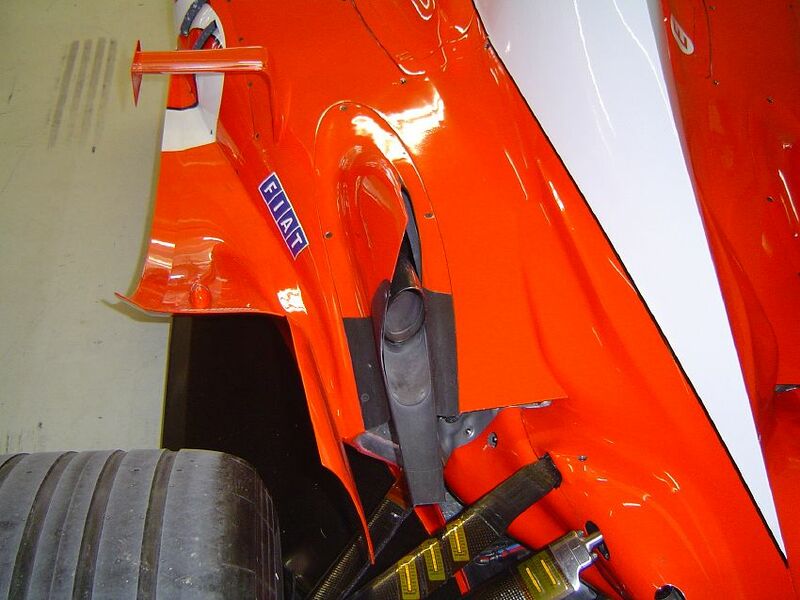 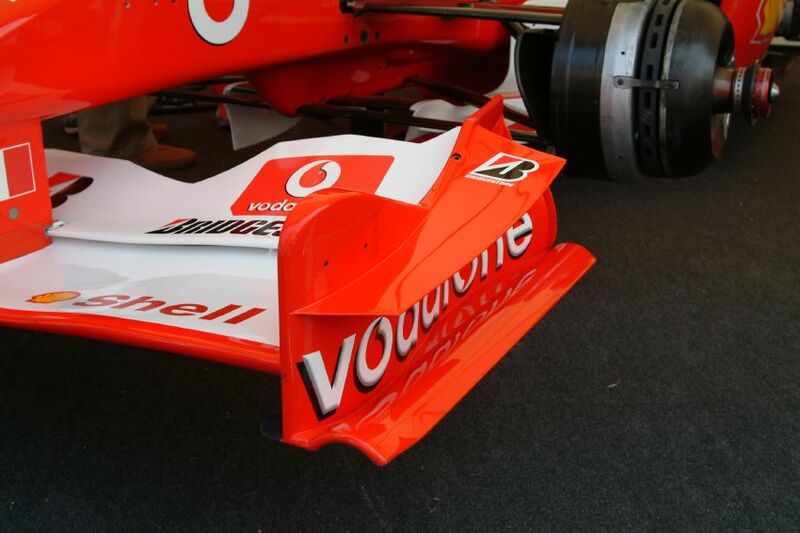 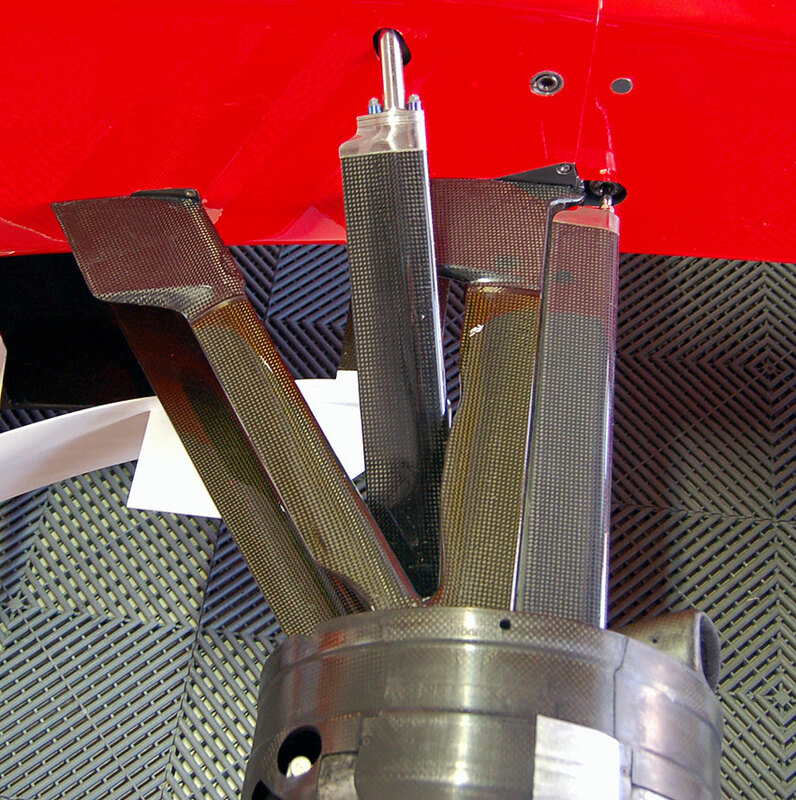 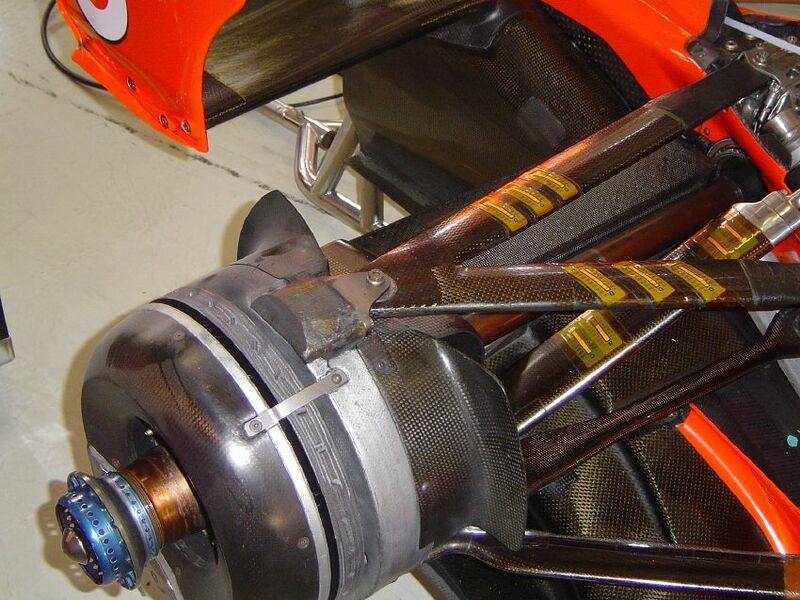 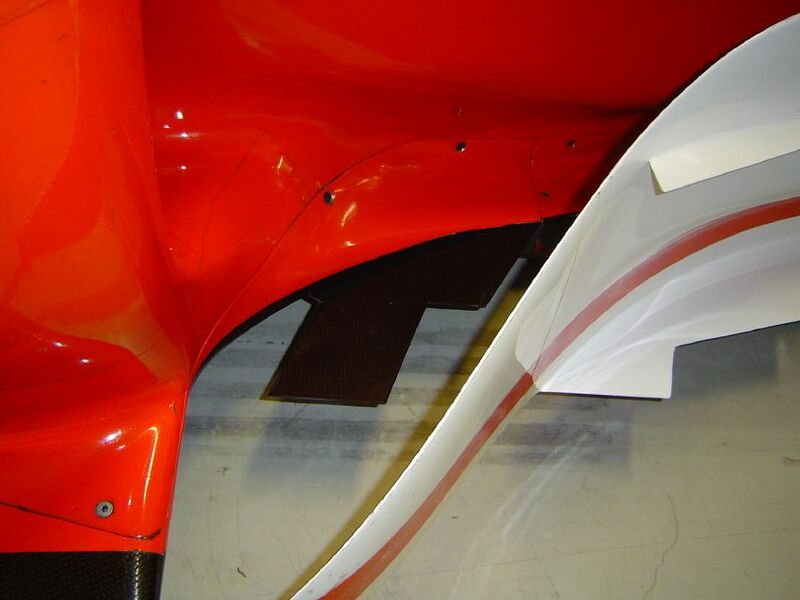 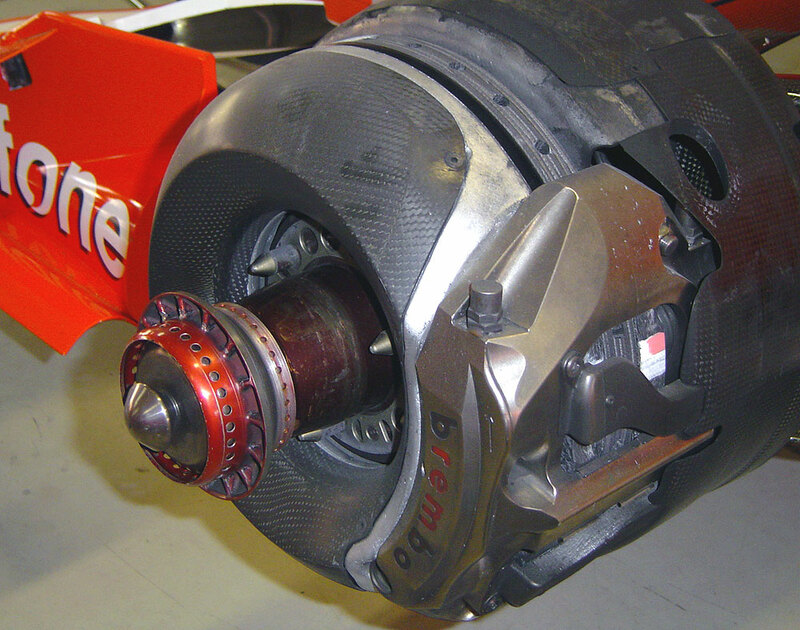 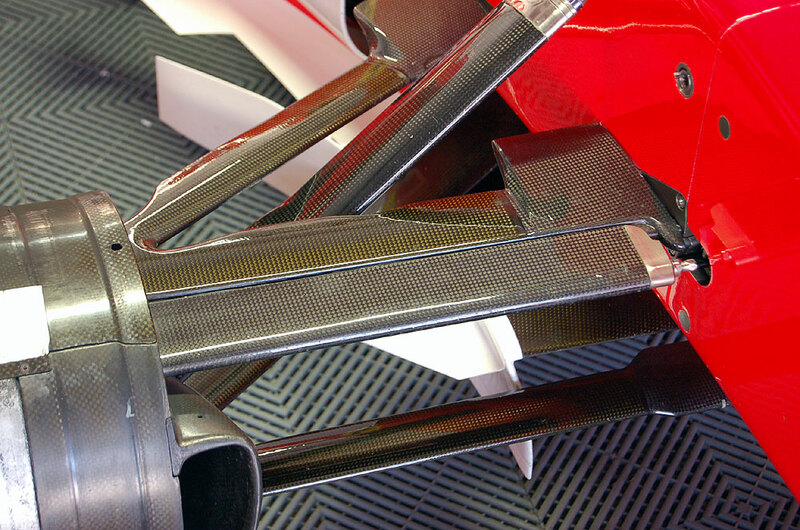 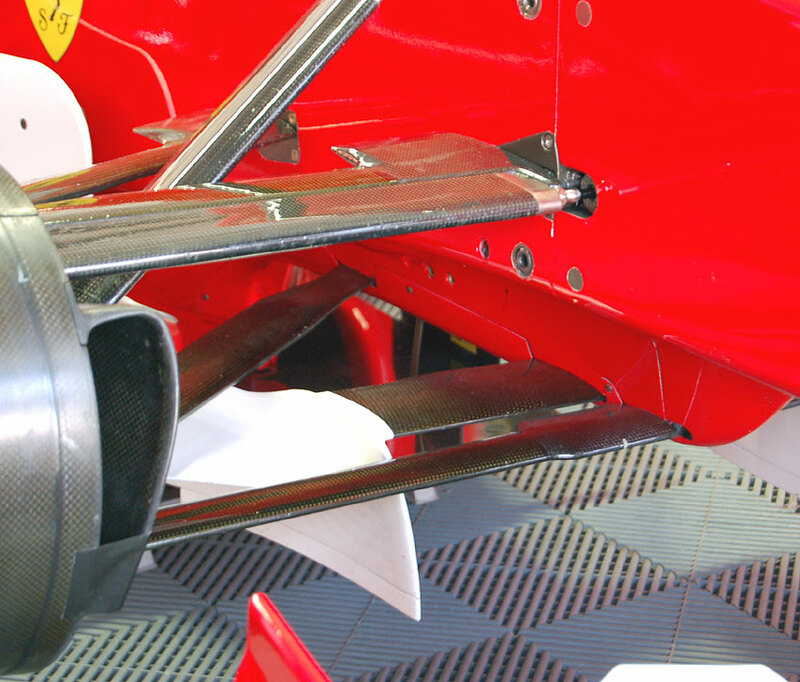 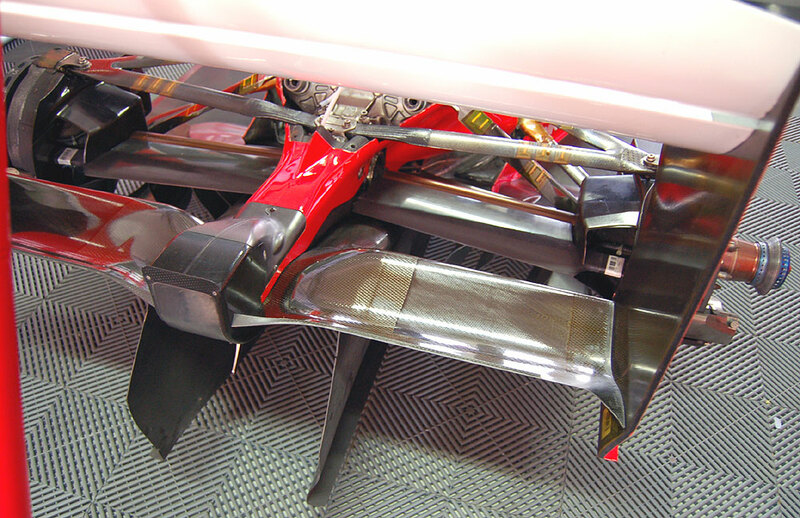 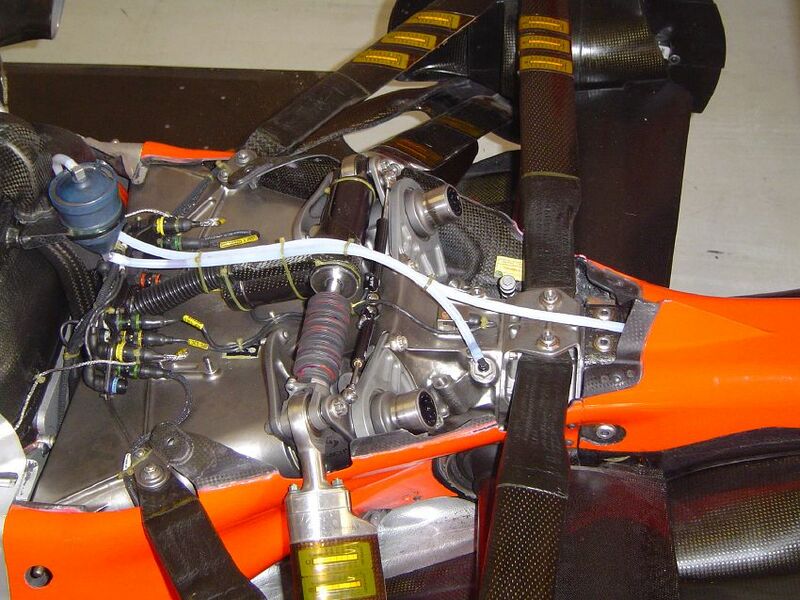 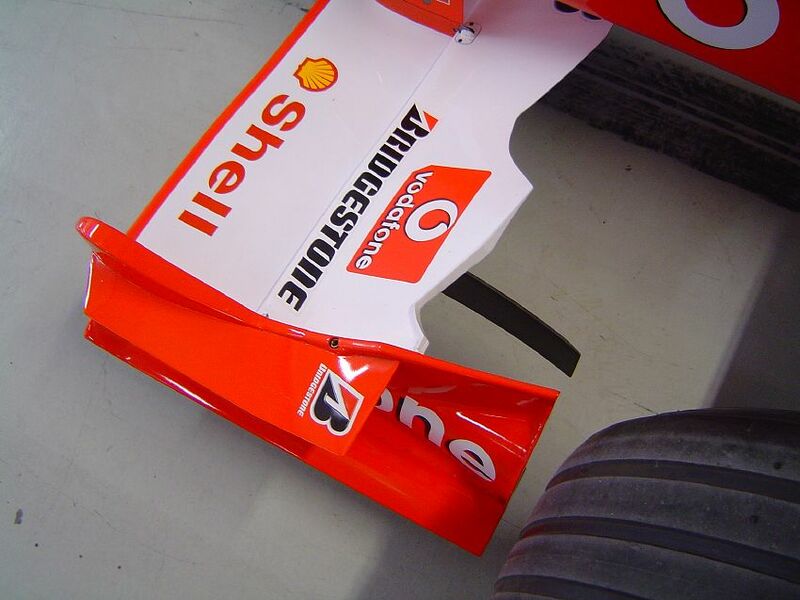 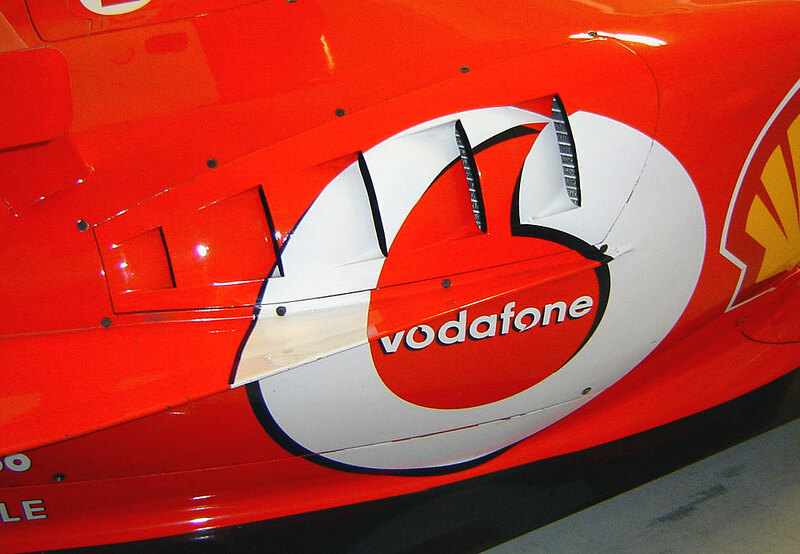 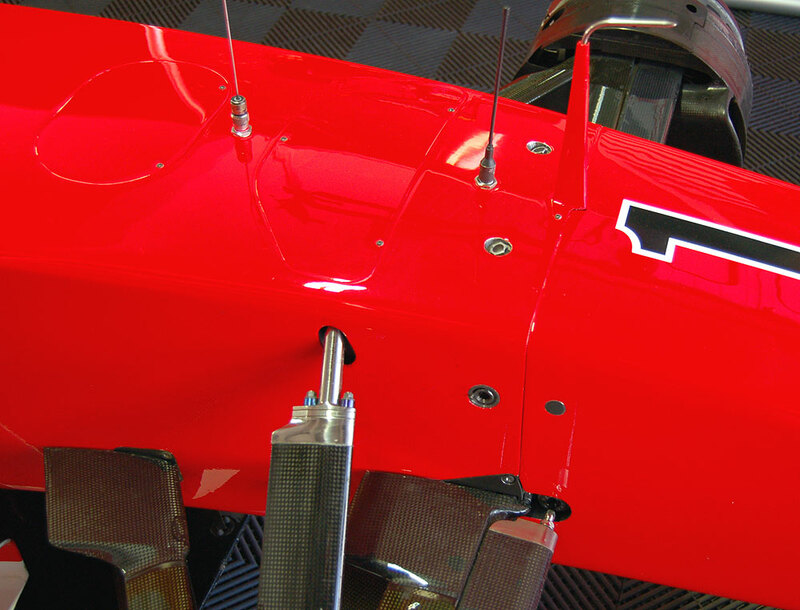 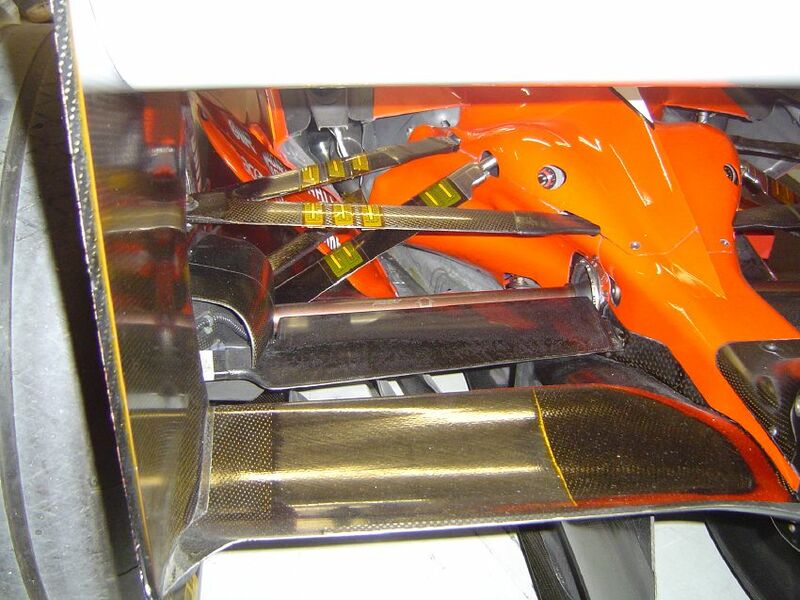 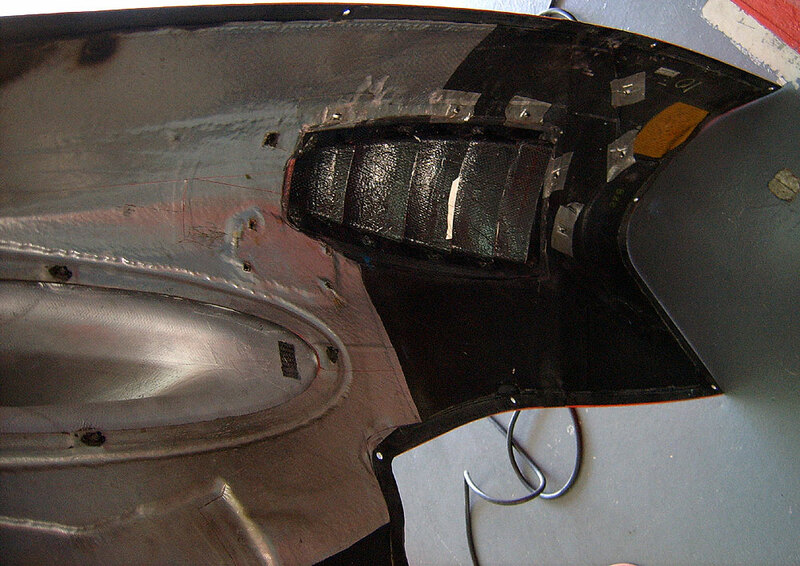 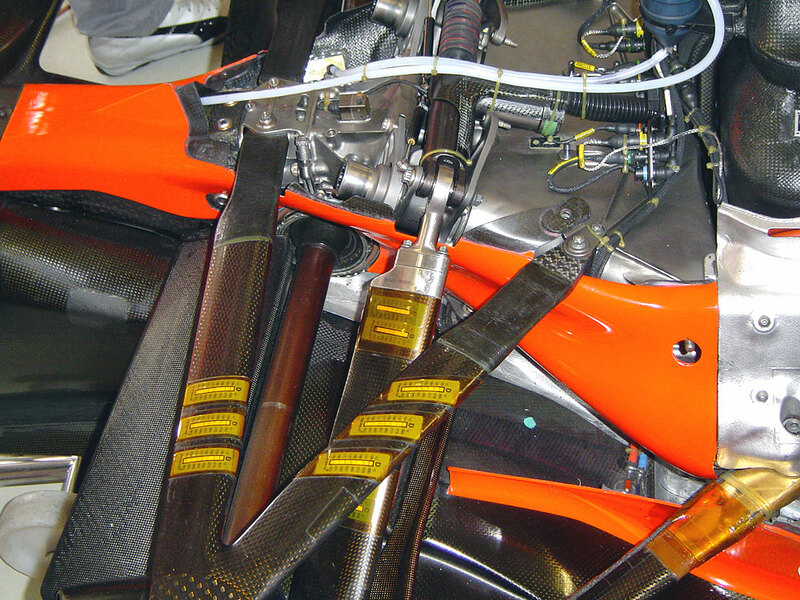 From the technical side, the F2003 GA was remarkable in 3 points : the sidepods introduced a new trend with a profound splaying in the initial low area, the rear end was very compact due to a smaller gearbox permitted by the lower wishbone mounted on the engine (less stress in the gearbox casting) and rotating dampers (Sachs) incorporated with the rockers in a single block.